For a topic as heated as immigration, there’s an impulse to fall back on bromides and sound bites. But for those who are interested to learn more about the topic in a more thoughtful manner, Margaret Salazar-Porzio, a curator of Latino history and culture at the Smithsonian’s National Museum of American History, has a fascinating list of recommended books for further reading. Born and raised in East Los Angeles, California, an immigrant-heavy part of the county with a storied and influential Mexican-American cultural identity, Salazar-Porzio has gone on to make a career out of the many stories that build the United States. 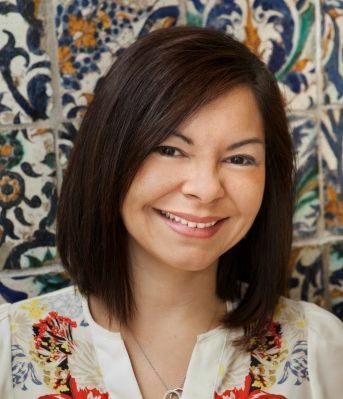 She co-curated one of the American History Museum’s newest exhibitions, Many Voices, One Nation, which traces the various and varied histories of different groups of Americans, and served as the lead editor of the exhibit’s companion book. Her projects all deal with the interplay between immigration to the U.S. and American cultural identities over the past five centuries, and how one issue affects the other. When talking with Smithsonian Second Opinion, Salazar-Porzio identified six books that examine the history of immigration in America. In each entry below, she describes her selections. Balderrama and Rodríguez provide a historical foundation for understanding the period between 1930 and 1940, a particularly terrible time for Mexican immigrants and Mexican-Americans. According to the federal census, during that time, the Mexican-born population living in the U.S. Southwest fell from over 600,000 to under 400,000. And thats primarily because of deportation or “repatriation.” It’s believed that around 60 percent of those Mexican and Mexican-Americans who were voluntarily and involuntarily deported were American citizens. This book provides an important example for understanding how immigration policy has been used, throughout U.S. history, as really a tool for nation-building and for racialization, or defining race in the United States. We can’t forget that a large portion of the southwestern United States was once Mexico--until the Treaty of Guadalupe Hidalgo ceded the land to the United States in 1848. The borders crossed these peoples, not the other way around. So there’s been a long history of a Mexican presence in what is now the United States. There is this long history, and yet, over and over again, Mexicanos have been thought of as new immigrants and workers who can be relegated to the sidelines or deported. If we go back through this history of seeing Mexican immigrants and Mexican-Americans as these kind of disposable subjects, we see it is often conveniently forgotten that this was their land in the first place. That kind of forgetting is one of the racial scripts that Natalia Molina book talks about in her book. Reading it helps us to understand how we got to where we are today in terms of DACA students, for example, and their position in society. Their rights can be granted or taken away at any moment. They are incredibly vulnerable, even as they are positioned and portrayed in the media as model minority subjects. The frequent use of this script, the model minority, is a way for those who are sympathetic to try to elevate DACA students in order to raise awareness of the difficulties of their situation and how scary it must be for them. However, it is at the expense of other immigrants and people of color who are not considered “models”. People often think of the U.S. as a place where the quality of life might be better than in their home country; and it’s true that social stability and protection from political and religious persecution is an ideal that people often enjoy—or hope to enjoy—in the United States. And since the end of World War II, the U.S. has been seen as a refuge and a place kind to refugees—people who have been displaced by wars and other conflicts in their homelands. American immigration experiences have often been prompted by these particular American ideas and ideals. With new immigration comes various challenges. Over and over again, we’ve had to figure out how to live together in the same place, for better or worse. And sometimes, depending on who you are, where you are, when you are, and depending on your relationships to power – it can be for the worse. Many people may have journeyed to the United States for the ideals enshrined in the Constitution, but upholding the Constitution relative to immigration policy has been somewhat disjointed. For example, Mae Ngai’s Impossible Subjects demonstrates how the concept of “illegality” is a relatively recent social construction. Her book traces the origins of the term “illegal aliens” in American law to explain why and how the concept of illegal migration became the central focus of U.S. immigration policy, and then by default, the discourse we use around immigration. The idea of “illegal” really just took hold in the 20th century, and has profoundly shaped ideas and practices of governments and embassies around citizenship, around race, and authority. The discourse around illegal is also directly related to — and, in fact, I would argue it intensifies — the stereotypes and the perceived “illegality” of the actions and status of undocumented migrants. Ari Zolberg’s significant work, A Nation By Design, provides another counterpoint to the assumptions and national mythology I mentioned earlier – the idea that the United States has always welcomed people from all over the globe with opened arms and provided a refuge for those seeking safety or opportunity. The history of immigration to the United States is much more complicated. Zolberg explores how, over the last two centuries, small but powerful interest groups have changed immigration policy in ways that benefited their narrow economic and social interests. They essentially engineered the nation they desired through these policies. You can see these kinds of policies playing out over and over again throughout history – and this connects to all the books we have discussed thus far. Mexican repatriation, racial scripts and the DACA program policies, and notions of “illegal aliens” are all part of this history of American immigration policy that Zolberg so skillfully documents. But I think the other part of immigration that really needs to be thought about more deeply is race. Race, but also ethnicity. In past times, hopefully not as much today, people of color have just automatically been assumed to be unable to assimilate. And they have automatically just been kind of excluded from more mainstream culture. But there are definitely different schools of thought about this, and especially today, there are different metaphors that have been used to describe Americans and others in the United States and how people decide to integrate themselves or decide not to. We've all heard about the melting pot, the salad bowl, tapestry, et cetera. But hopefully one of the great things about American culture today is that newcomers don’t have to be just one thing. That many people hold onto their heritage and express their American identities at the same time they express their ethnic identities. And that’s the core of American cultural identity, especially today. To hold on to your identity is in many ways the most American thing to do. Gary Gerstle’s American Crucible is one of the best academic books to examine this kind of question of identity, and race, and the melting pot. The U.S. immigrant population is far more diverse than at any other point in American history. They come from different economic and social backgrounds, they bring with them a wide variety of occupations, and they pretty much represent every country across the globe. Paul Spickard’s Almost All Aliens covers most of the different groups who have come to the United States in various ways over the last four centuries. This book—really it’s a tome—is an interesting pairing with Gerstle’s. [Spickard] really leaves behind the traditional melting pot model of immigrant assimilation, and he puts race-making and colonialism at the center of the story. Assimilationist models are a little outdated in thinking about immigrant integration in the United States, and Spickard’s book shifts the paradigm to focus on race. He demonstrates that immigration is intimately connected to issues of race, nation, and America’s role in the world.